Colorado Gives Day is December 6, but you can preschedule your gift now! By giving your support online through Colorado Gives Day, Imagine! 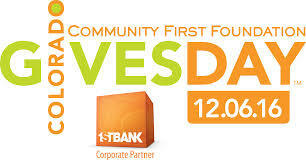 will be eligible for a portion of the 1stBank and Community First Foundation incentive fund. You'll help people of all ages served by Imagine!. Click here to preschedule your gift.